One of the reasons this panel even exists is that students going through college and entering adulthood right now, are seeing fascism as an impending part of their reality. There has been a huge increase of interest in trying to understand fascism, what it is, where it’s been, what’s happening now. As far-right populism takes over parts of Europe and South Asia, as well as white nationalist attacks across the U.S., fascism becomes even more real. This is pressing for many academics as the Alt Right has made the “college campus” the center of its recruitment as they look to reclaim a sense of intellectualism and identity as Western liberalism erodes. It seems that the feeling of encroaching fascism is defining much of the political consciousness of young people. But it’s not. Millenials have not been defined by by the fear of the far-right, but by resistance. A generation that saw a massive upsurge in radical organizing, and have responded to the growth of Trumpian populism, the Alt Right, and anti-immigrant hate with such an insurgence that it has created a divide in communities and campuses. This break has completely reshaped higher learning, I think dramatically for the better, and that consciousness is defined both by a vision for the future and a strong sense of what it is not. What antifascism means, what implications it actually has for politics, history, culture, and identity, is misunderstood because it hasn’t been unpacked. With this in mind I think the concept of “Antifascist Studies,” as a theoretical approach and critical intervention, offers the option of a new perspective, one formed from the experiences of people fighting back. From the students witnessing two worlds in conflict, and picking one instead of the other. Antifascism has often been simply reduced to a negation, yet the history of radical movements tell us there is so much more to a refusal. Anti-capitalism, anti-imperialism, anti-racism, and so on, all foundations of deep traditions, all rooted in the consciousness that comes from an experience of resistance, a theory that stems out of more than distant study. The way I have defined fascism is a merger of a mythic and essentialized identity and the belief in an innate inequality of people, all pulled together by a populism that rejects both the establishment and the left. Antifascism, then, is simple enough: it is the movement in direct response to fascism, to repudiate it, to eliminate it. If fascism is ever shifting, melding its “ideal type” to new conditions, then antifascism is just as diverse. Fascism springs out of crisis and imperative, maybe economic, maybe cultural, yet antifascism comes out of an even more impending crisis: that of fascism. Antifascism is not just a response to a threat, but a real manifestation of the cultures it springs from, how they imagine themselves, their resistance, and their future. 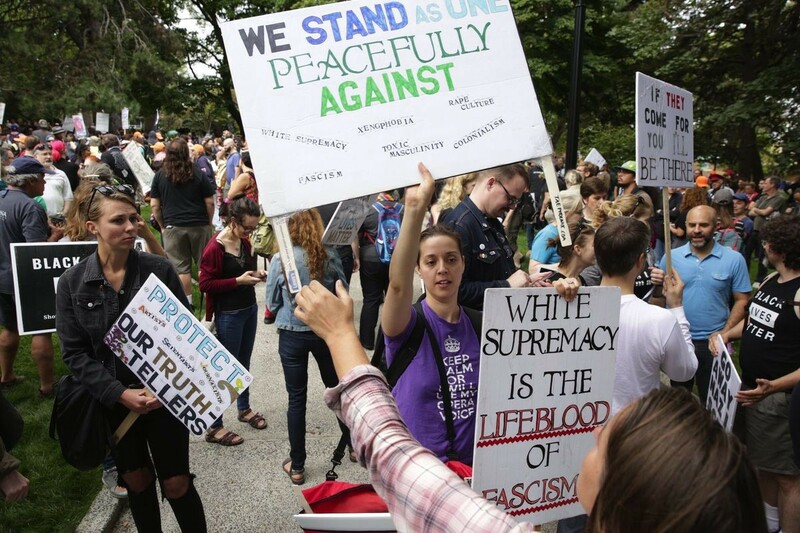 Antifascism is, in a sense, interdisciplinary, if the disciplines are simply our churches, union halls, neighborhoods, identities, backgrounds, histories, and fears. The idea of antifascist studies is also reasonably simple: to take a theoretical approach that brings together a huge swath of study and experience to provide a new perspective. Like queer theory, radical feminism, autonomism, the post-left, and subaltern theory, antifascist studies is a reimagining of perspective, puts the struggle against reactionary movements at the forefront, and takes that starting point as a way to restructure how we think of these histories. Antifascist studies offers a challenge, to be a place where resistance and triumph are the central axis rather than the horrors of fascism. As a critical approach, the core of antifascist studies is to re-analyze the historical crisis of the far-right in terms of how, and why, resistance movements fought. That is a history kept in private speeches, photocopied zines, and fragmented, rarely thought of as an international movement with different manifestations. The struggle against Hindu nationalism, Apartheid, Rhodesia, Duterte, Burmese nationalism, Ulster loyalists, and the revolutionary movements against Bashar Al-Assad and ISIS can be considered part of a new antifascist canon. Within this framework we should expand what we think of as antifascism to include intersectional movements against oppression. The armed struggle of the Southern NAACP against the Klan or the Black Panther’s against racist policing, the Queer Liberation Front and ACT UP against homophobic mob attacks, all making up pieces of this new history. An antifascism that is more diverse and shapeshifting than the caricature we hear. The antifascist perspective, one that is increasingly theoretical in its efforts to understand how fascism forms, is becoming a distinct critical approach. How can we re-interpret anti-colonial struggles in an era where nationalist elements of those movements have turned to the right? What is the environmental movement when it was founded, for decades, on white supremacist notions of land use, eugenics, and population control? The understanding of fascism’s cannibalism of leftist social movements, as well as conservative anger, has given antifascism a unique glimpse at where utopian ideas sour. We now can re-analyze the history of social movements and revolution with this lens, to see how ideas form and run in competition with one another. To confront the confusing space of contradictions that run through the vibrant rage of crisis and transformation, and to see if the politics and ideas that motivate those turning points are radical or reactionary. It is now an opportunity to know that fascism has existed, to see it critically and existing in a multitude, and to rethink our story to see where its moments of creep and explosion have existed. With what we know now from the antifascist perspective, we will be able to parse through some of the more complicated pieces of of the legacy that both the revolutionary left and militaristic right have had. This antifascist perspective paints with a nuance that has lacked in some critical left spaces. How we understand the relationship between Israel and antisemitism, how we view environmental crisis, how we see national liberation struggles and identity based nationalism, all are called into question with new tools at our disposal. We have the ability to deconstruct victories and failures from the left in a way that we never had before because we have a distinctly antifascist perspective that knows how the far-right can feed on the left, cannibalizing its passion and drive. The antifascist perspective is not uniform, and why would it be? What it has in common, however, is that it is not satisfied to simply understand the world, nor does it commit itself to neutrality, but it is partisan, and looking to win. The left itself has often given up on winning in the era of neoliberalism, but what antifascism seeks to do is to not only confront the threat as it comes, but to uproot it at the core. It is that structural analysis that makes it radical, to tear up the roots and build something new in its place. To do this we need to center a “people’s” history to understand the far-right, its meta-political core ideas, and to see resistance as ever-present and existing in a multitude. I’ve also spent years as a union organizer, and there is a phrase that we often use when getting new people involved. “What moves them past their fear is anger.” If our critical work is to be empowering, then it needs to not be the story of victimization. Instead, we need to tell the story of fascism not from our fear, but from our anger. We can refuse to let the story of oppression be solely the story of the oppressor, but instead to make it the story of our resistance. This article is based on a speech delivered at the American Studies Association conference in 2018.